To complement ISB’s growing library collection, we also provide our students with online resources to help them research and further their learning inside and outside of the classroom. Our online bibliographic database contains all of the books carried by our library. Search our online catalog! BrainPOP creates animated, curriculum-based content that supports educators and engages students – in school, at home, and on mobile devices. Resources include movies, quizzes, games, mobile apps, experiments, activity pages, and much more – covering hundreds of topics within Math, Science, Social Studies, English, Technology, Arts & Music, and Health. 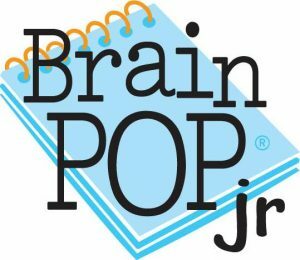 BrainPOP Jr. is great for Nursery through 3rd Grade. BrainPOP works well for students in 2nd through 8th Grade. 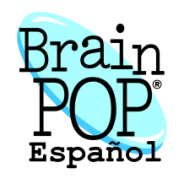 We also have BrainPOP Español for our Spanish speakers and BrainPOP Français for our French speakers. Click on the icons to try BrainPOP today! You can also download apps for your phone and tablet. Ask the librarians for the username and passwords. Britannica offers safe, reliable and comprehensive source of information and media for learning, research and discovery. The site, which is accessible 24/7 from all devices – PCs, laptops, tablets and smart phones – features more than 100,000 articles, 60,000 images and videos, an interactive world atlas, a Merriam-Webster dictionary and much more. No username or login is needed. your child’s English teachers for your child’s login credentials. with corresponding eQuizzes that measure comprehension. 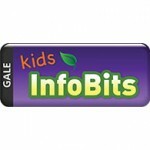 The website contains over 100 age-appropriate magazines for grades K-5. Also includes Merriam-Webster’s Elementary Dictionary, maps, flags, seals, charts, and graphs. Research In Context provides engaging reference, periodical, and multimedia content supporting national and state curriculum standards for grades 6 to 12 in language arts, social studies, and science. A collection of databases geared toward Nursery through 8th Grade, World Book Online provides access to more than 40,000 encyclopedia and reference articles, research tools, e-books, educational videos, and many more important resources for learning. Select one of the World book reference sites to get started. Contact the librarian for the username and password. ISB teacher-approved websites are great resources for students as they begin their research. Free Mexican science magazine sponsored by the STEM office of the government. Use Easy Bib to guide you through the citation process.